After the Volkswagen India's topmost marketing team has quit, and the company's newly-appointed CEO is poaching from rival Maruti to stem an alarming slide in sales and revive the carmaker's ambition of cornering a 10 per cent market share in the next two years. VW India's top marketing team including Mr. Neeraj Garg who was responsible for all six brand in India has decided to move on from Volkswagen and has already put in his papers. Sandeep Mandrekar, the head of sales for India and the second-in-command in the sales and marketing division, has also decided to move on. 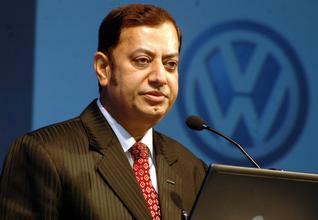 It has also been learnt that Mr. Neeraj Garg was offered a better position in VW China, but he has declined the offer. Volkswagen has offered Garg's post to Maruti Suzuki CGM (marketing) Shashank Srivastava while Pankaj Sharma, who was working as general manager in Maruti's True Value business, will become the head of sales replacing Mandrekar. "I don't have anything to say and would like to reserve my comments," Srivastava told. 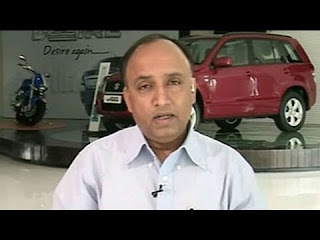 However, Sharma confirmed his decision to leave, saying he will be joining Volkswagen soon. The new CEO for VW, Gerry Dorizas, dispatched from Japan to turn around the Indian operations, is believed to be cracking the whip and had approached the Maruti executives with job offers after Garg and Mandrekar decided to leave.